"Loved the convenience of the central location. Very Pleasant and nicely appointed place, would definitely recommend it, its very efficient and cozy." "Great experience! We were picked up at the airport and I would strongly suggest you use this service. That way your driver can time your arrival with the agent to welcome and explain how everything..."
"Our stay in the Hamilton apartment was very pleasant. 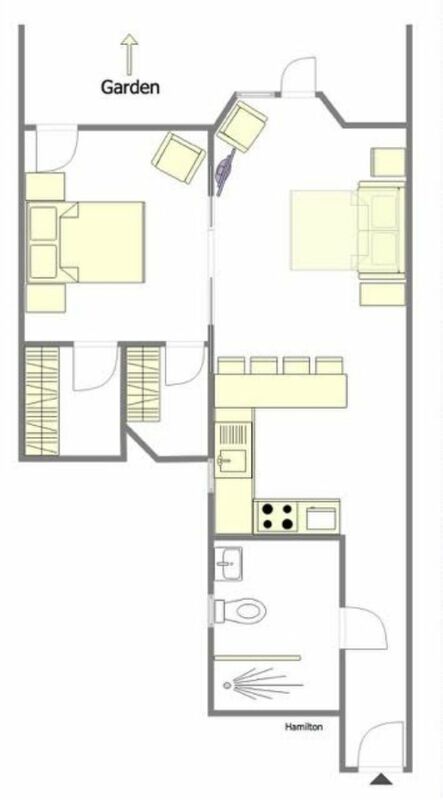 The size of the apartment is reasonable for 1 couple with generously-sized both kitchen and bathroom. Although it was late in the season for..."
"Amazing property in an amazing location! This property is wonderful in every way. We hope to stay here on all of our future visits to London." "We had a wonderful time in this flat! Everything was top notch and having the garden was lovely. We'd sit in the evening and listen to the birds. 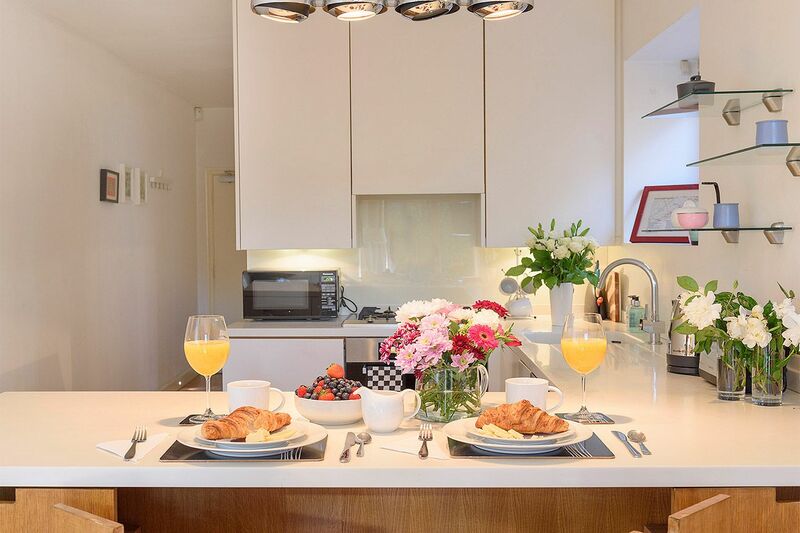 It was easy walking around Chelsea to everything on..."
Welcome to the Hamilton, a charming 1 bedroom, 1 bathroom vacation rental ideally situated in one of the most sought-after, upmarket neighborhoods in London, Chelsea. 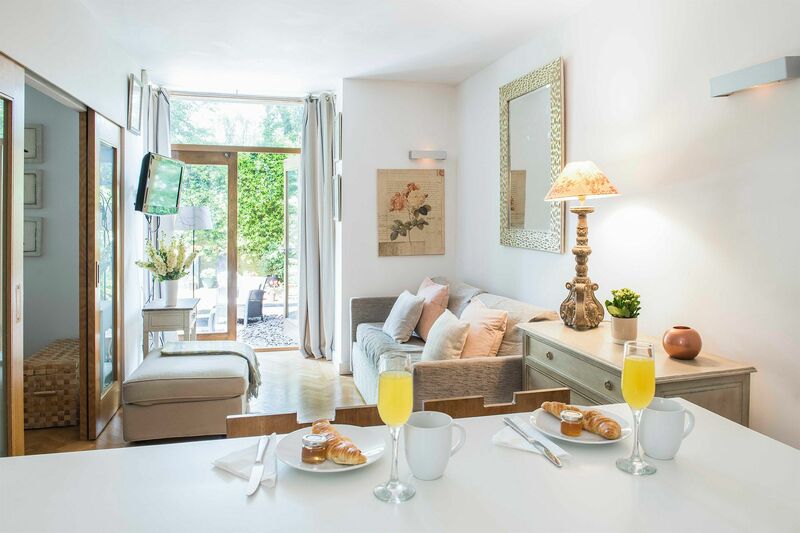 This newly remodeled apartment offers a comfortable stay along with the wonderful feature of a private patio garden space accessible from both the living room and bedroom. 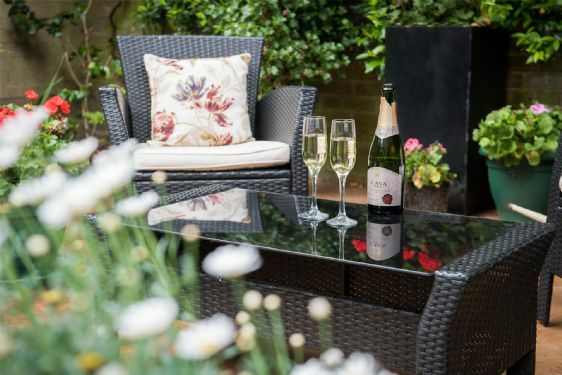 Sit and relax with a glass of wine after a day of sightseeing, or enjoy a cup of tea before heading out for a fun day exploring London. The apartment is close to fashion shopping heaven on the amazing King's Road. 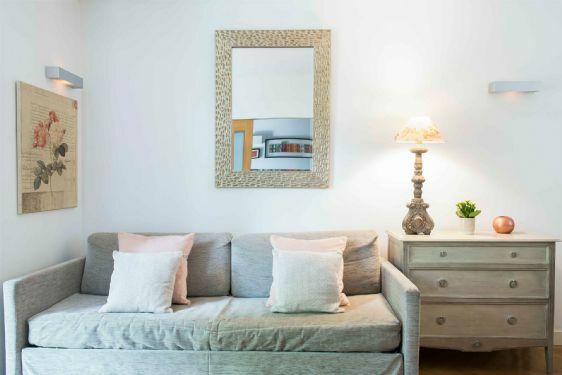 While in the heart of this bustling area, one of the best features is the apartment itself is peaceful and quiet. 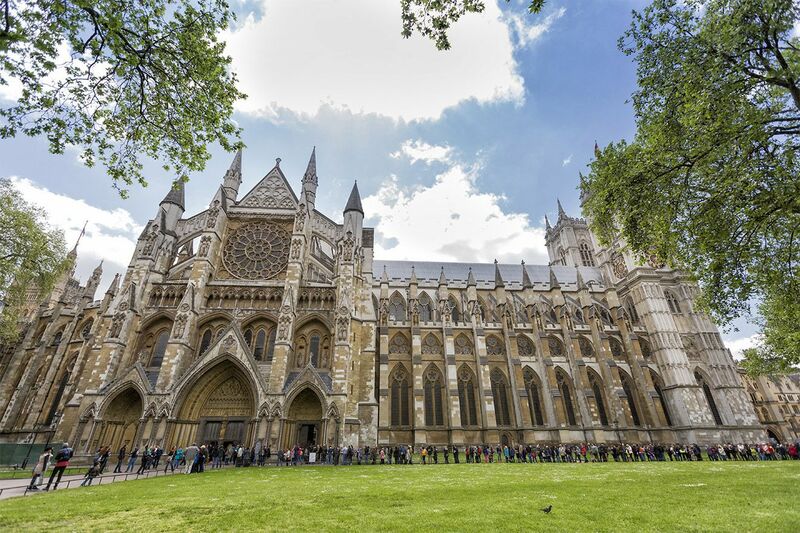 Highlights of the area include The Saatchi Gallery, Battersea Park and its children's zoo, and the National Army Museum, or take our Morning London tour which visits Big Ben and Westminster Abbey. The Hamilton is only a block from the Chelsea Physic Garden, a famous botanical gardens with herbs and healing plants that have been cultivated since the 1800’s. 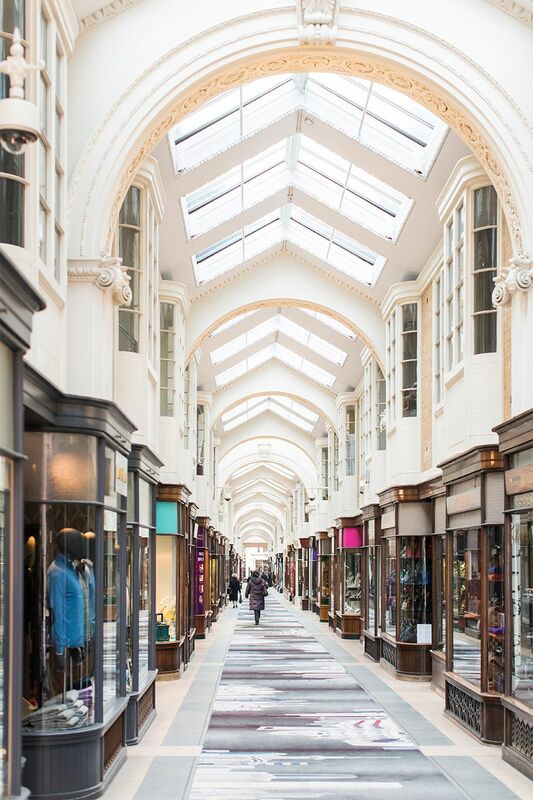 Shop at the luxury boutiques on the King's Road and stop for a leisurely lunch at The Ivy Chelsea Garden, a popular Ivy Collection restaurant with a plant-fringed terrace, or go all-out and dine at Gordon Ramsay's flagship Chelsea restaurant, Restaurant Gordon Ramsay. The Hamilton features a large open kitchen, large bathroom, and cozy living room. The open living area promises a comfortable home for you and your family. 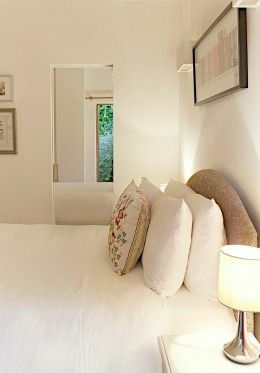 A comfortable bed overlooks the private garden in the bedroom. A high-quality sofa bed converts into a cozy bed and trundle, accommodating an adult and a child or two young children in the living room which completes the sleeping arrangements for up to four people. 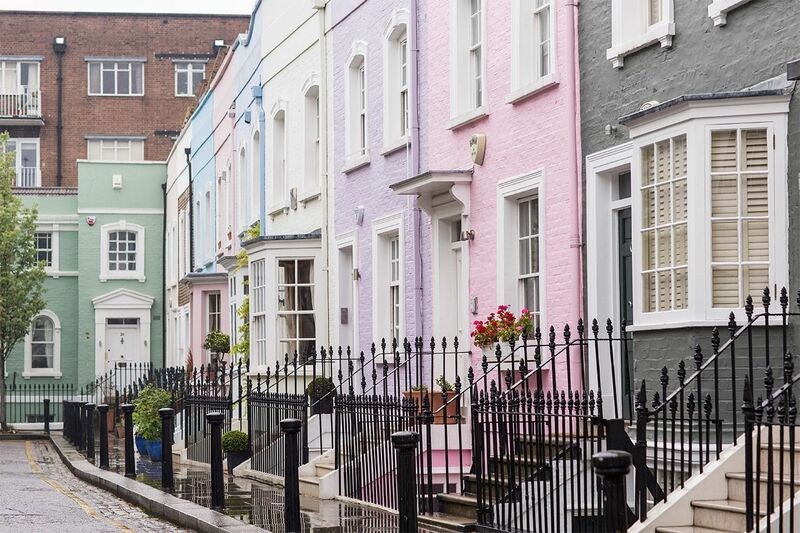 It is ideally situated for stepping out your front door and discovering Chelsea. 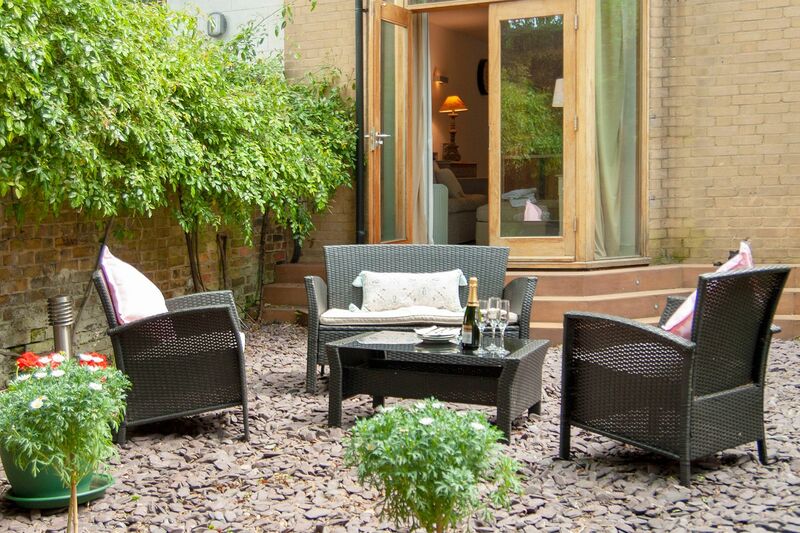 Click here to see why Chelsea is the perfect neighborhood for your London stay. 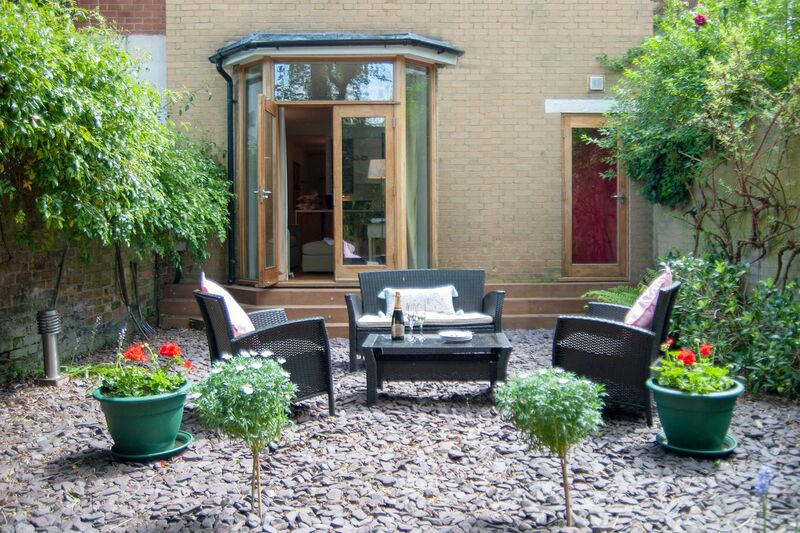 Located on the garden level (1st floor American) with a completely private garden. This is a highly sought after building and neighborhood. Gordon Ramsay's Michelin starred restaurant less than a minute's walk away. We hope you had a wonderful stay in our Hamilton apartment. Please take a moment and click here to share a review of your experience with us. "Great experience! We were picked up at the airport and I would strongly suggest you use this service. That way your driver can time your arrival with the agent to welcome and explain how everything works in flat. It was quite comfortable and we certainly loved the location. 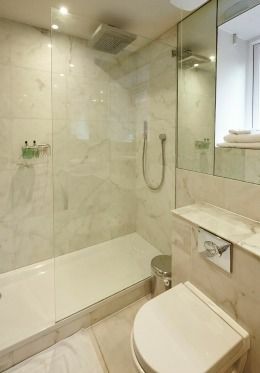 A full ten minute..."
"Our stay in the Hamilton apartment was very pleasant. 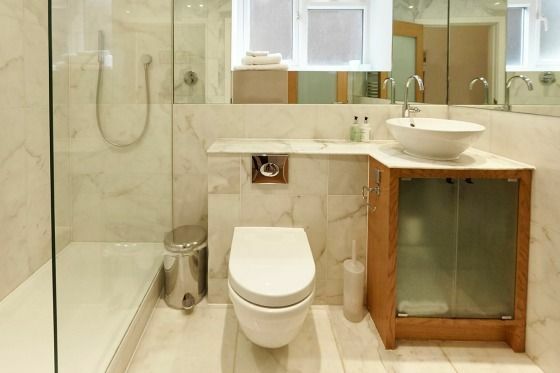 The size of the apartment is reasonable for 1 couple with generously-sized both kitchen and bathroom. Although it was late in the season for the garden, it would have been lovely to be able to use it in milder months. It is a nice touch to..."
"We had a wonderful time in this flat! Everything was top notch and having the garden was lovely. We'd sit in the evening and listen to the birds. It was easy walking around Chelsea to everything on the Kings Road, with lovely old buildings to see. There were nice walks along the Thames as well...."
"Great location in Chelsea. Very quiet and private. 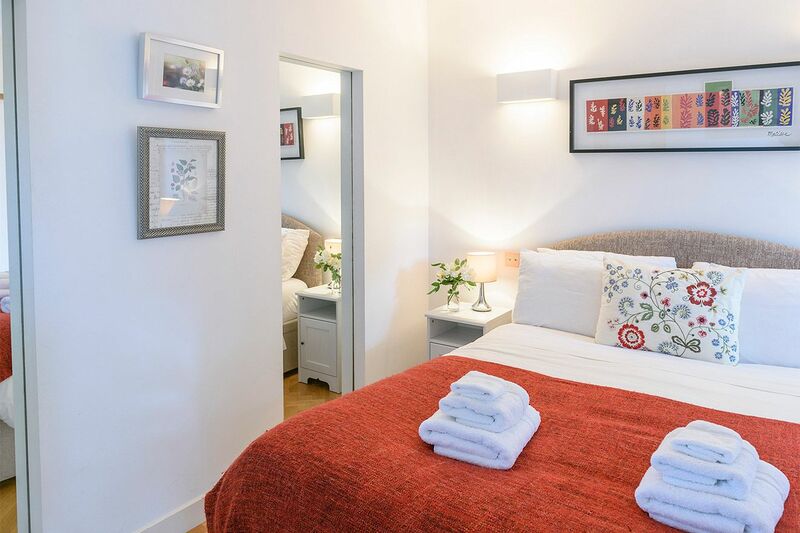 This is the second time we have used London Perfect and have loved each flat and stay!" "We had a great time at the Hamilton. 5 mins walk to King's Road will take you to the best shops and restaurants Chelsea has to offer. If not satisfied, a 15 minute walk will take you to Sloane Sq tube station and from there to all places wider London has to offer. Very comfortable and clean,..."
"Well maintained and convenient. A little far from central London. We choose this apartment as is handicapped accessible. Would be good to have guide to London bus system. 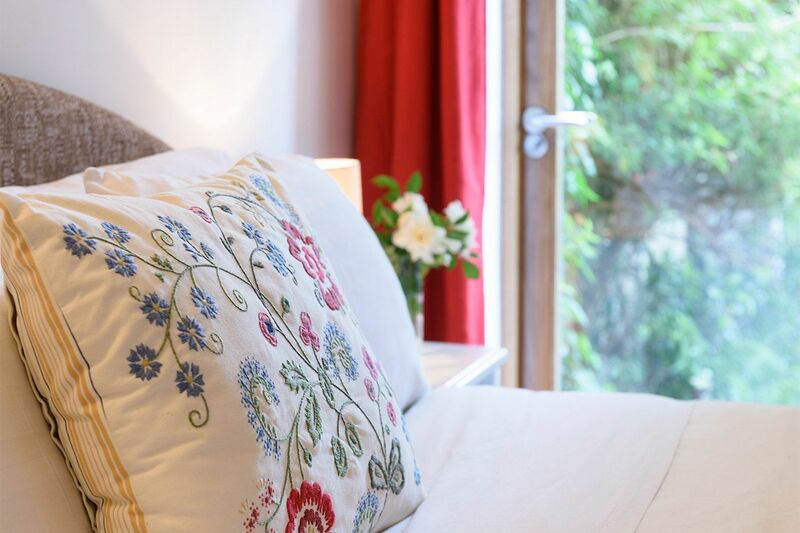 We really enjoyed our stay and Very helpful to have someone to introduce us to apartment and show us how things worked...."
"Had a wonderful stay, and very much enjoyed the London Spring!" "A big thumbs up to London perfect. Everything went so easy. Starting from the booking, the airport pickup, a detailed run-through at the apartment (including the area, tips on restaurants and sights), and drop off at the airport at the end of our trip. The apartment location was ideal. 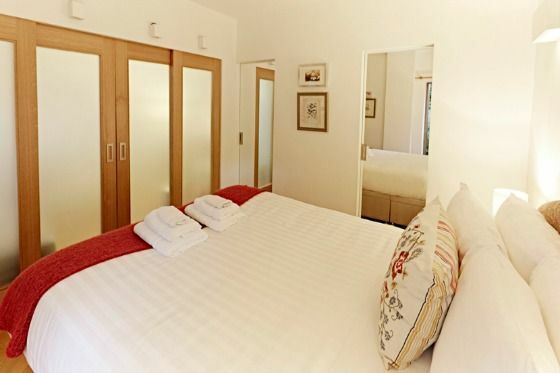 Very quiet..."
"My daughter and I had a wonderful stay at Hamilton. Fantastic location and excellent accommodation. The team at London Perfect were a pleasure to deal with. A truly memorable holiday!" "London Perfect is not just the name of the company, but defines the company because my interaction and stay was PERFECT! The staff was very helpful in providing info for the area and responsive to all my questions and needs. 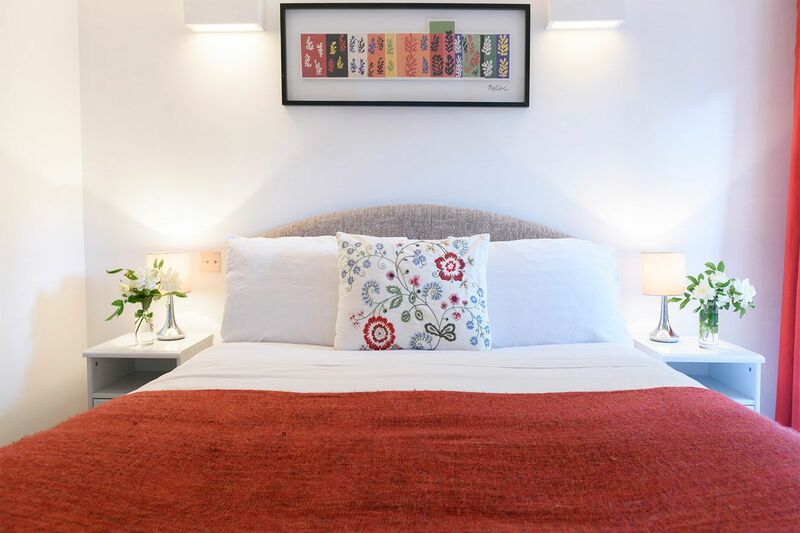 I stayed at the Hamilton and the layout and furnishings were exactly per..."
"My husband and I loved our stay at the Hamilton flat in London. Although small, it was perfect for 2 of us and was equipped with everything we needed for a comfortable stay. Our greeter was very helpful and immediately responded to any requests we had. 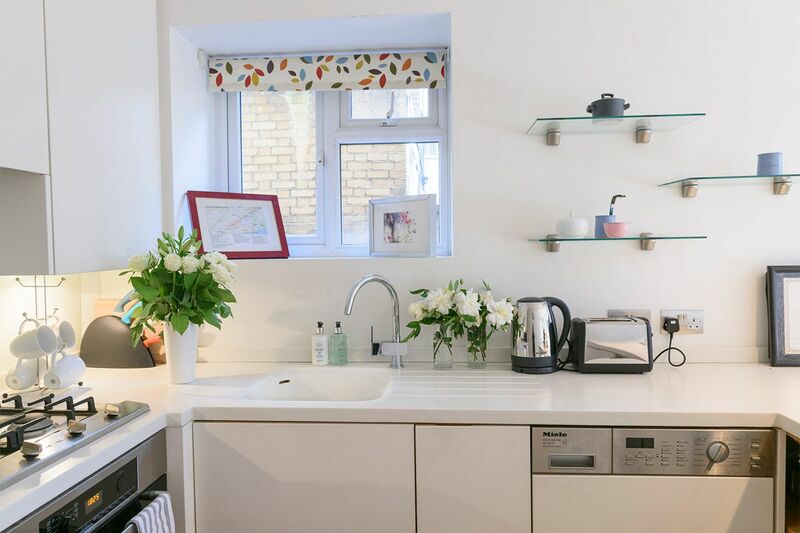 We didn't really use the garden, but having..."
"This apartment was very well fitted out, very comfortable and very quiet and in the part of London where we wanted to stay. 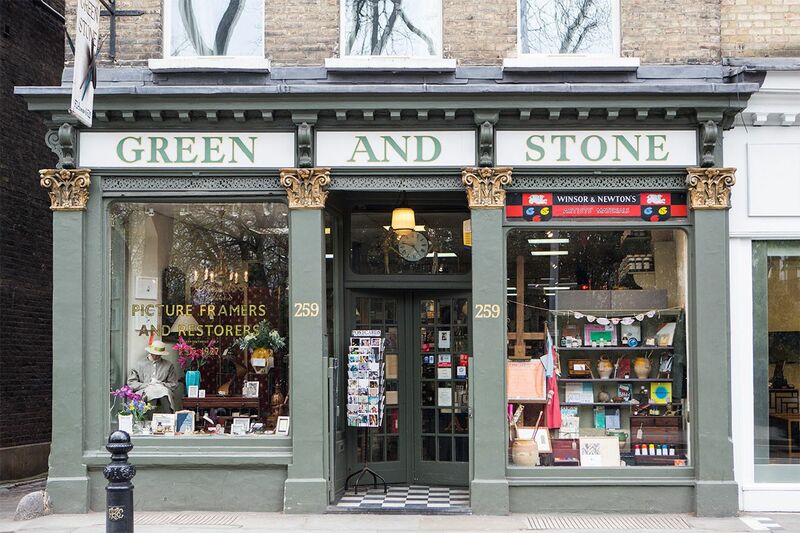 It is only a short walk to the Kings Rd where there are many cafes and food stores. 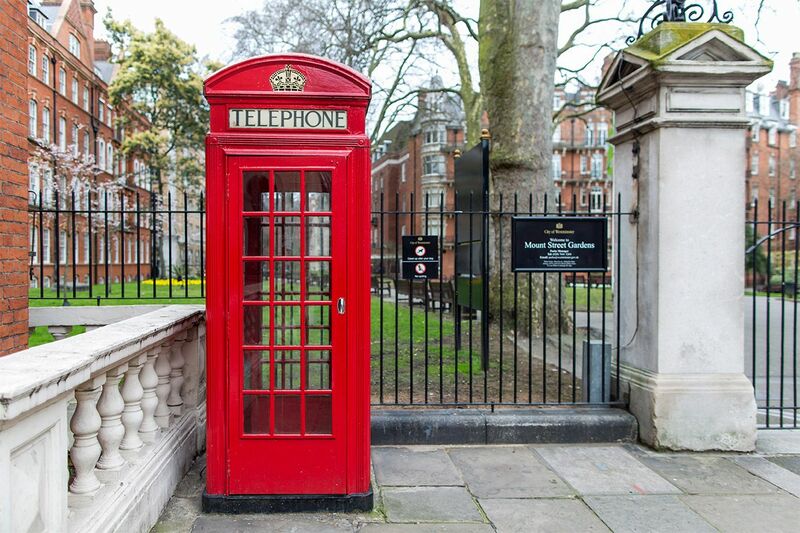 We regularly walked to Sloane Square and Knightsbridge past all the geogeous antique and..."
"Thank you to the London Perfect team and my greeter, Ed, for providing us with such a great apartment in an ideal location. The Hamilton was very clean and modern and was perfect for myself and my husband. 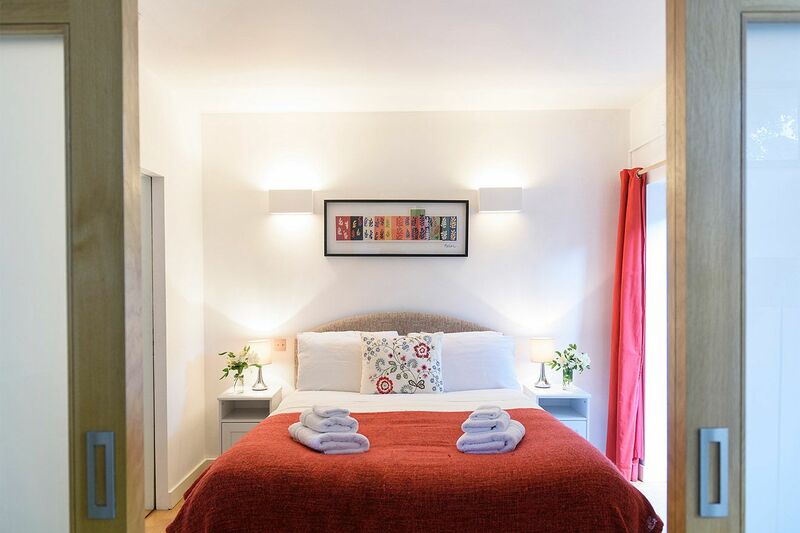 We loved the comfy bed and I especially appreciated the hairdryer and washing machine that..."
"The flat was everything we expected and more. Having Ed here to greet us after delays on the Eurostar and the craziness of St Pancras was a huge relief. Thanks Ed! The flat is very nicely organized and well stocked. We very much appreciated the welcome basked and used up nearly..."
"Quiet is the only way we can describe this flat. We lived in London for a few years and try to visit as often as possible. This was the most quiet haven we have stayed in. 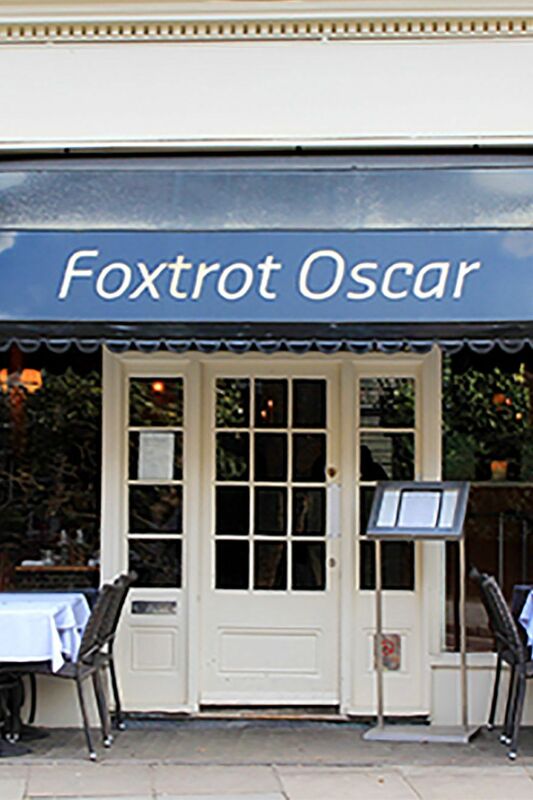 Enjoyed the following restaurants which are close: The Surprise, Foxtrot Oscar, and The Phoenix. "This apartment is perfect! It is a quiet oasis away from the crowds and noise. 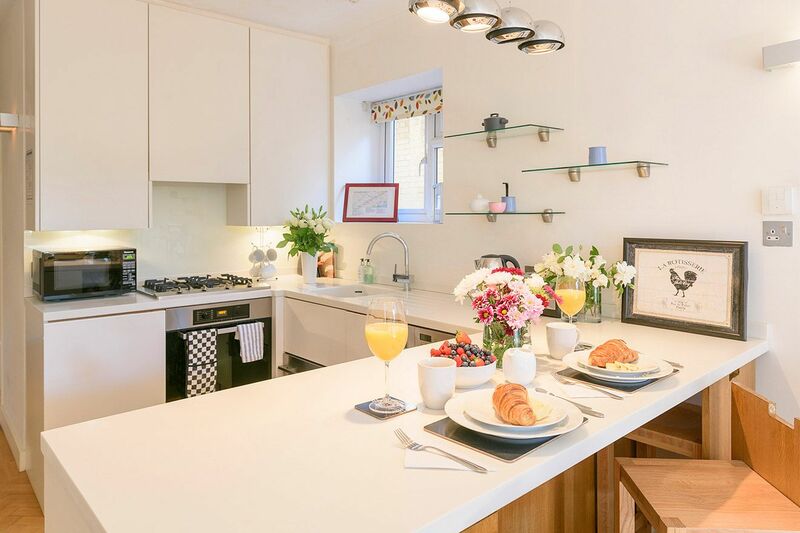 Just a short walk through a great neighborhood to Sloane Square station which is so convenient to everything a first-timer in London would want to see! 1) Shop at Waitrose or..."
"The Hamilton is a wonderful flat for two people. We especially loved how close it was to the Sloane Street underground station, which allowed us to get everywhere else in London we wanted to get to. the neighborhood is lovely and safe, which made us feel comfortable when we were returning to the..."
"We very much enjoyed our stay at the Hamilton! This is our 2nd rental with London Perfect (the first was the Walton) and both turned out to be "London Perfect"! We'll be back." "We came to London for a wedding and decided to stay the week. This property was an absolute delight. The location is ideal and the space is perfect for a couple. It was great to be able to make breakfast and grab a glass of wine at the end of the day to decompress. 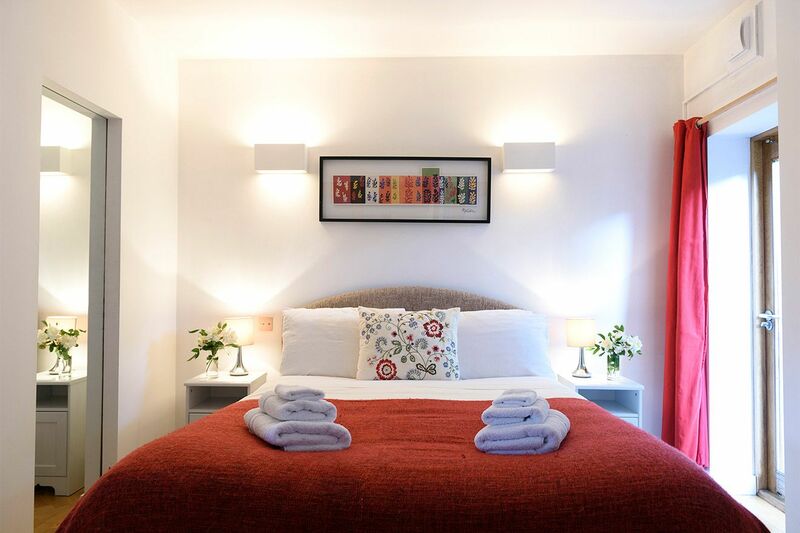 The bed was really, really..."
"Hamilton was the best apartment weâ€™ve rented in London â€“ spotless and well designed. The location could hardly be improved on. Our greeter explained the fixtures and the other workings in great detail so we never felt lost in a new place. Having the Sloane..."
1) Walk south towards the Thames. 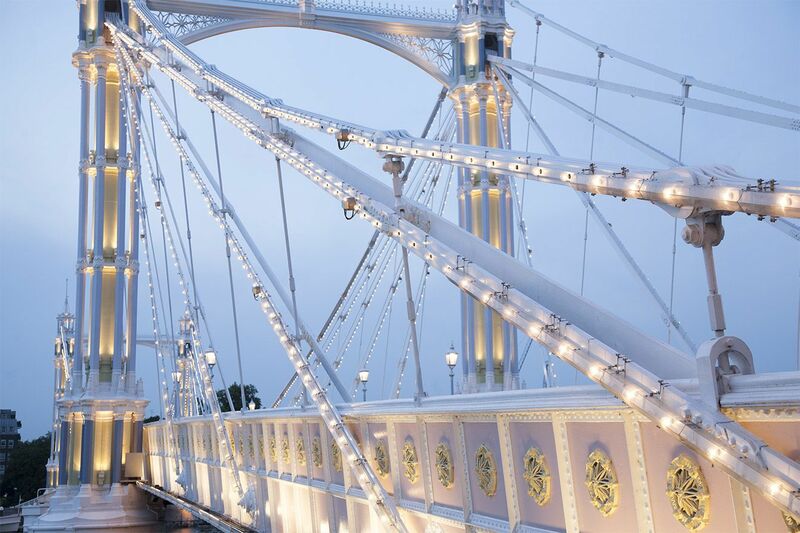 Cross over Albert Bridge and Voila, youâ€™re at Battersea Park! 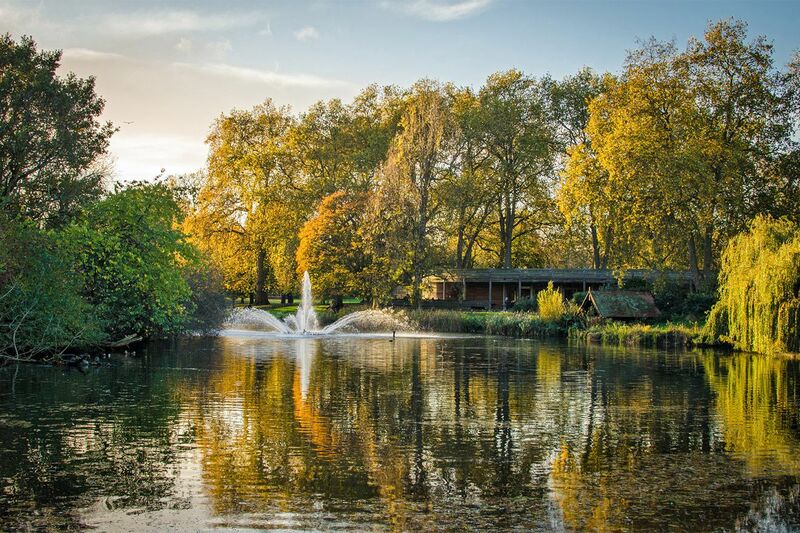 Enjoy a nice stroll â€“ I enjoyed..."
Made in Italy, Bluebird Café and Tomâ€™s..."
"Thankyou â€œLondon Perfectâ€. All was great and welcome basket much appreciated. Local pubs are good and donâ€™t miss Chelsea Physic Garden across the road. 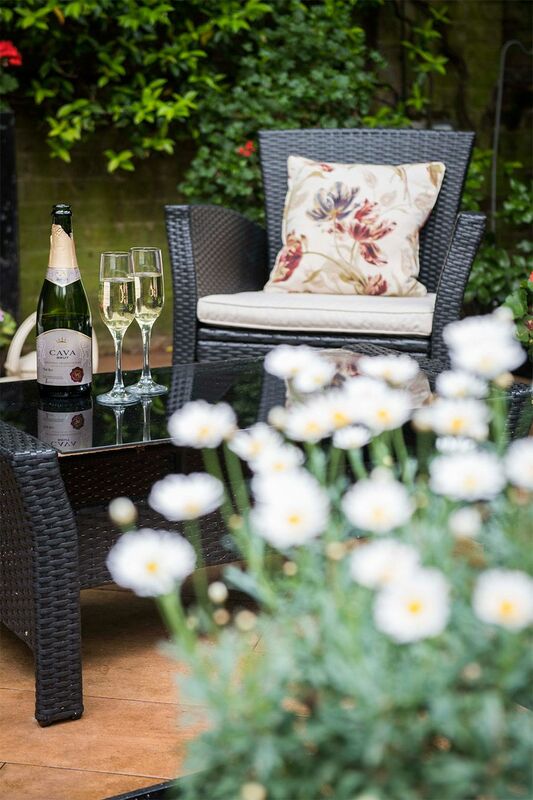 Fab for a glass of wine on a sunny day!" "The apartment was very pleasant and clean. The location was good, in a quiet residential neighbourhood, but with good service by a bus line. Even the weather was nice, and we enjoyed sitting in the courtyard." 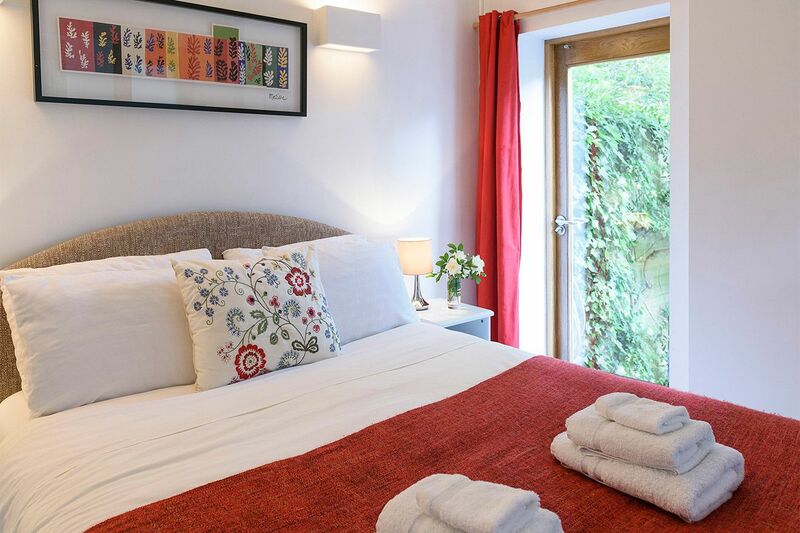 "A lovely stay in a cosy apartment in a great area. Very quiet â€“ no road noise, only heard the front door to the building open and close. As I had lived and worked in London in the 90â€™s it was great to come back and visit our old..."
We shopped nightly at Marks & Spencer. Great prepared food - oven ready. 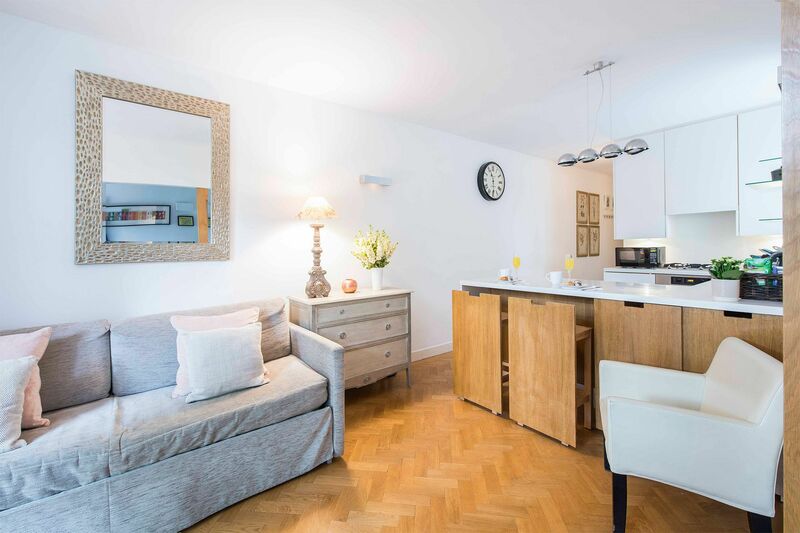 Wine selection minimal but we found Fortnum and Mason..."
"Enjoyed the apartment so much - wanted for nothing. Loved the area out back with the spring greenery coming to life and the birds singing their hearts out. Ate most nights here for dinner from Harrod's & M&S and all breakfasts. Were unable to get a reservation at Gordon Ramsay but spent two..."
"Hamiltion couldn't have been more perfect, even better than the previous apartment I rented from you years ago in Kensington. It was clean, light, nicely furnished, quiet. A great location for walking and getting everywhere, yet very quiet at night. I'd stay here again in a heartbeat." "Lovely apartment. Welcome by Ed was warm, friendly and useful. Apartment was immaculately clean. The shower was particularly nice and there was never a problem with hot water. Bed and bedding was wonderful. I was there during a particularly cold spell so I didn't use the garden but it must be..."
"We really enjoyed staying in the flat. It reminded us of our early days just after getting married. It was cosy and had all the amenities needed. Having a convenience store at the corner made it easy for last minute necessities and dinner. 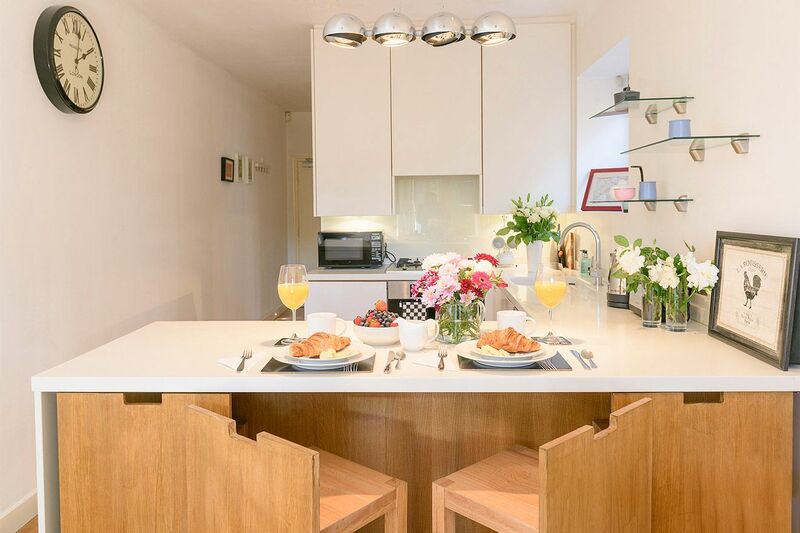 I would recommend this cosy flat to anyone needing a home..."
"We enjoyed our stay here. It is away from the larger parts of the city, but once we found places to shop and eat everything was great. Ed was here to show us the smallest details of the apartment, and returned shortly to provide an extra set of keys, and to deliver a hairdryer which was missing. He..."
"I was in London for business and stayed in the gorgeous flat. It was spacious, very clean; modern had everything I needed and then some. 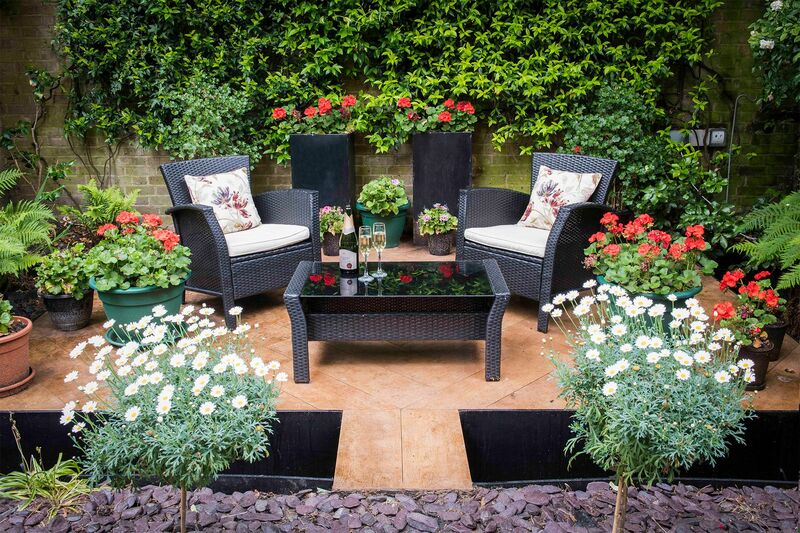 The garden at the back was beautiful and gave flat a very welcoming, homely atmosphere. 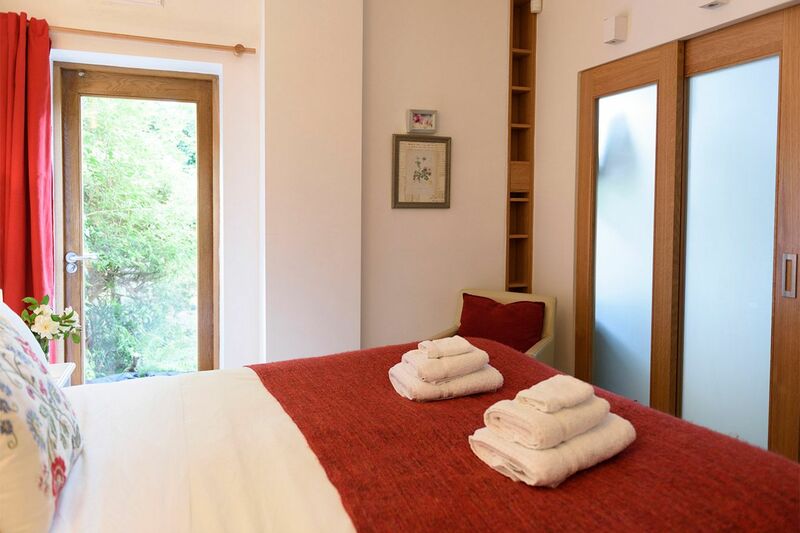 The London Perfect staff was great, and the information they provided was..."
Located in Chelsea, perfectly positioned between King's Road and the River Thames. 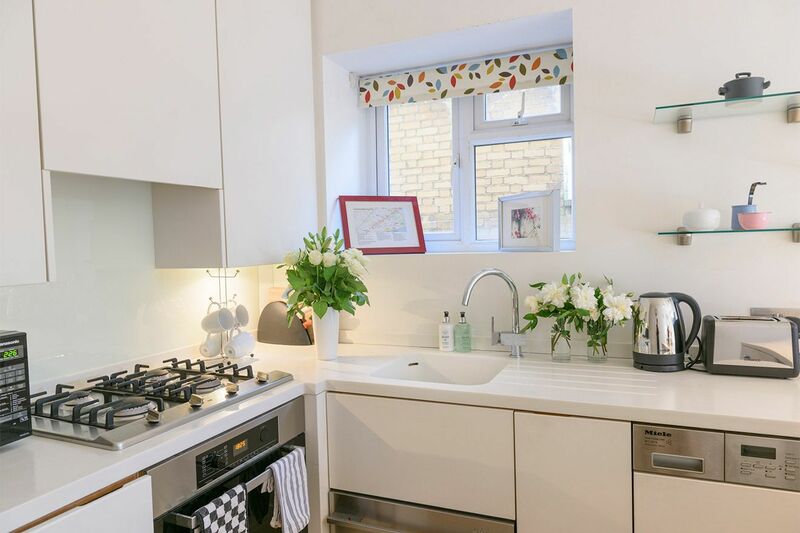 Across the road from Gordon Ramsay's world-famous restaurants and walking distance to the National Army Museum, Chelsea flower show, buses, tube station, designer and boutique shops, Peter Jones department store, and superb restaurants and cafés. Sloane Square: Buses, Tube Station, Peter Jones Department Store, Luxury stores, and more! Duke of York Square: Fashion stores, restaurants & cafés. Home to the annual BADA Antiques Fair. The Famous King's Road: Fabulous shopping, cafés, supermarkets, and more! Restaurant Gordon Ramsay (30 sec walk): enjoy world class French cuisine at this three star Michelin restaurant. Very hard to get a booking so reserve in advance. Tesco Express (30 second walk): local convenience store selling all the basics you need including milk, bread, cheese, soft drinks, confectionery, and newspapers. National Army Museum (1 min walk): the British Army's central museum, open daily except 24-26 December and 1 January. Admission is free. 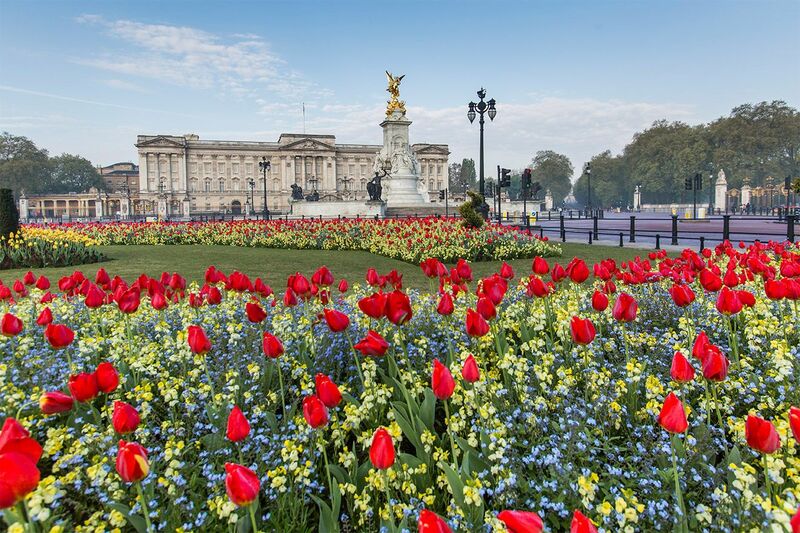 Chelsea Flower Show (5 min walk): held in the gardens of the Royal Hospital; not to be missed for gardening aficionados. Royal Hospital Chelsea (5 min walk): now home to the red uniformed Chelsea Pensioners. Expansive grounds are the perfect place for a picnic. King's Road (6 min walk): Bustling and popular shopping area. Well-known for upscale shops, boutiques, restaurants and cafés. Sloane Square (12 min walk): Peter Jones department store and luxury shops including Tiffany & Co, Links of London and Hugo Boss. Duke of York Square (12 min walk): features fine boutiques (including a large Zara store) and a beautiful open patio area to enjoy ice cream or espresso on sunny days. 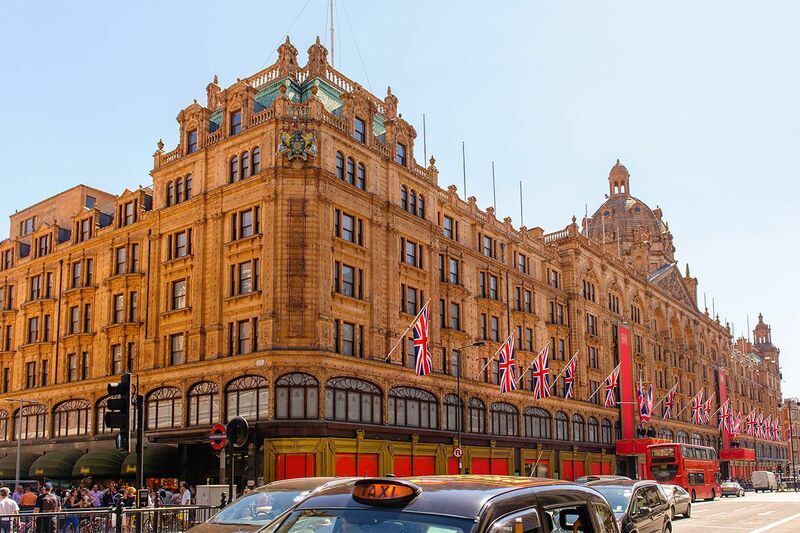 Harrods (22 min walk): one of the world's most famous department stores. Harvey Nichols (25 min walk): at the top of Sloane Street; famous ready-to-wear store where Princess Diana shopped. 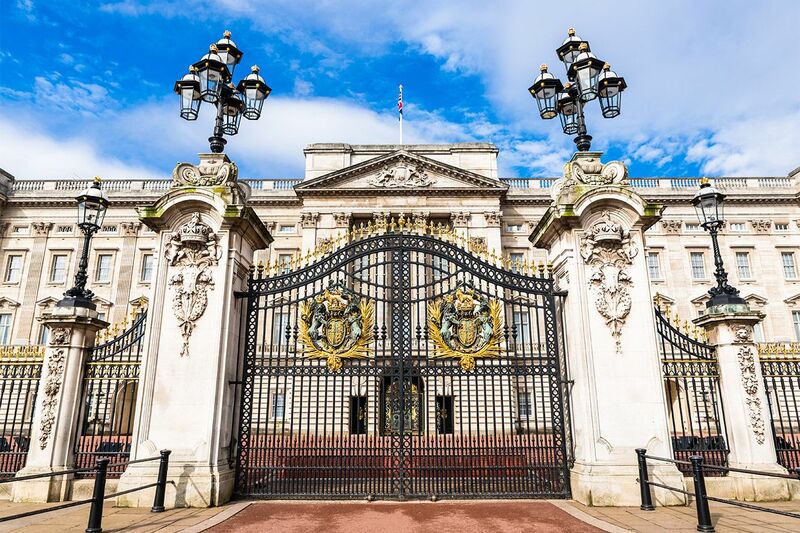 Buckingham Palace (30 min walk): walk or catch a bus along King's Road to watch the world-famous Changing the Guard ceremony at Buckingham palace. Tube: Sloane Square tube station (12 min walk)- on the District and Circle Lines. BUS 170 HEADING TOWARDS VICTORIA: Turn left out of the apartment and walk approximately 30 seconds to the bus stop. Take the 170 bus to Lower Sloane Street. 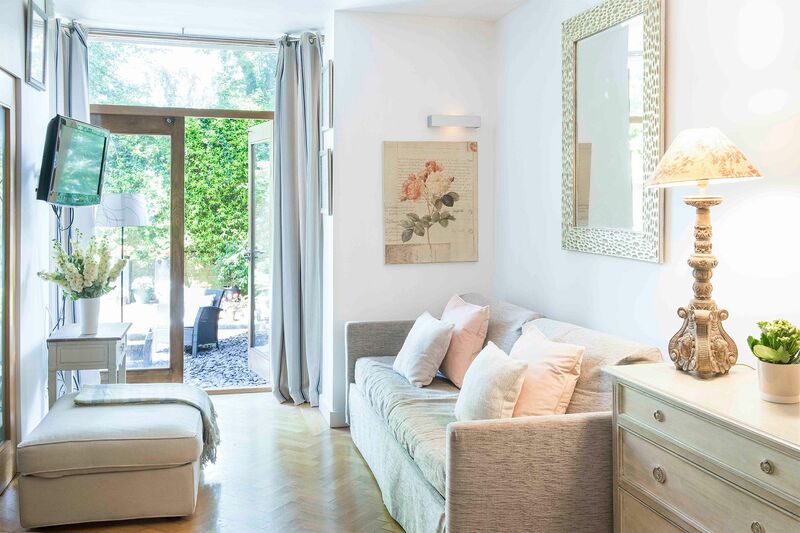 Jump off and walk down Lower Sloane Street to Sloane Square or admire the homeware stores along Pimlico Road Victoria coach station, London's main coach terminus. Coaches depart from Victoria to all over the UK and Europe. Victoria train station, one of London's busiest transport hubs. National Rail trains service South East UK destinations, including Brighton, Cantebury, and Gatwick Airport, plus ferry links from Dover, Folkestone, Ramsgate and Newhaven. London Victoria station is also where the famed Orient Express (officially the Venice-Simplon Orient Express) departs for its signature London-Paris-Vienna route. BUS 170 HEADING TOWARDS ROEHAMPTON: Turn left out of the apartment, cross the road and walk approximately one minute to the bus stop outside the National Army Museum. Backyard space is the cherry on top on this rental! You won't be able to resist bringing home fresh flowers from the local shops and markets! 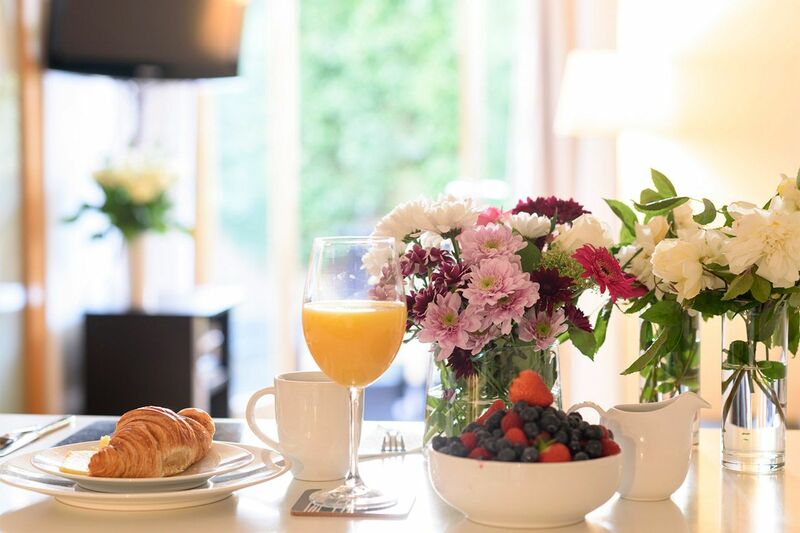 Treat yourself to a fresh gourmet breakfast at home! 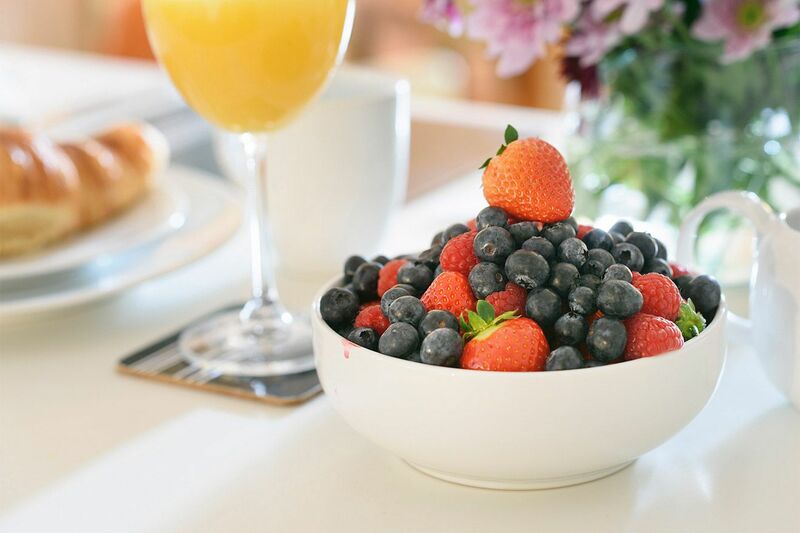 Fresh berries and OJ make for a perfect breakfast! Comfortable modern kitchen is perfect for cooking meals at home! 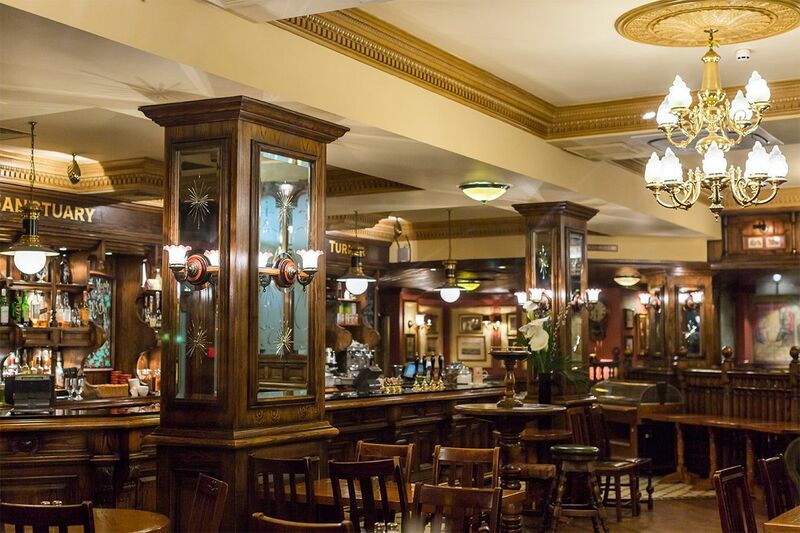 Have a meal in a classic English pub! A 22 minute walk to Harrods is definitely worth it! 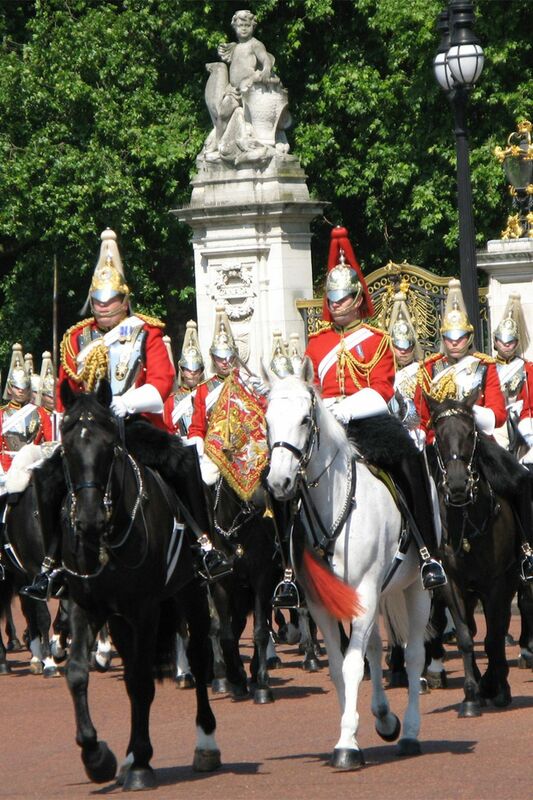 Come see the Changing of the Guard in person! 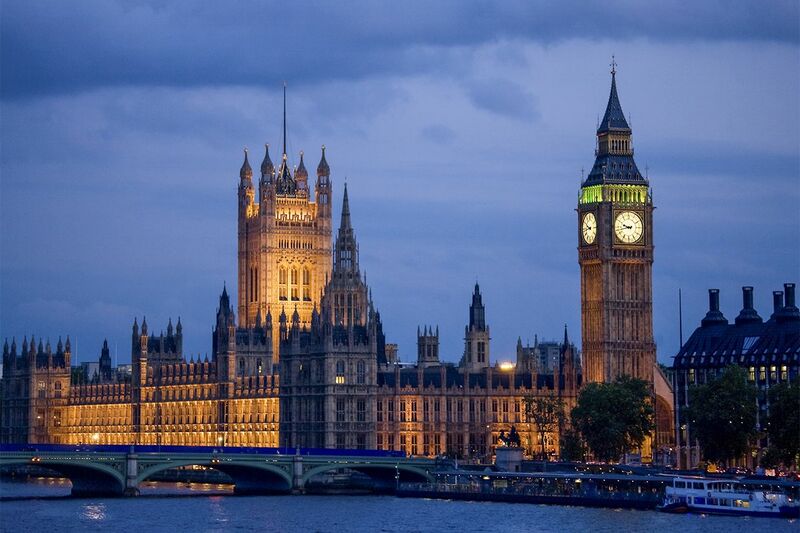 Stroll along the Thames river at night to see Big Ben!